is a legally approved method in Austria. The aim is to treat and improve psychological disorders. A major part of psychotherapy is talking, although other interventions such as role play and practical exercises are applied. The duration of a psychotherapeutic treatment lies between 30 and 120 hours, usually with one session per week. Psychotherapy includes the discussion of potenially troubling present and past situations, the development of new skills such as assertiveness and mindfulness and testing new ways of reacting and acting in every day life. For psychotherapy to be succesful a good relationship between the client and the therapist is necessary. In the first sessions this relationship is established. 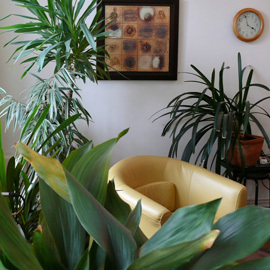 I am aware of the fact - and tell this to my clients - that I am not the only (English speaking) psychotherapist in Vienna. An additional factor for successful treatment is a mutual agreement regarding the aims of treatment. Usually, the aims are established during the first few sessions. However, it is not uncommon that additional aims arise in the course of therapy.